You are here: Home / Food + Drink / Food Travel / Join Us in Sacramento for Our Next #SweetsCrawl! Join Us in Sacramento for Our Next #SweetsCrawl! I’m very excited to announce the date of our next #SweetsCrawl reader meetup & local food tour! Mark your calendars and save this date: Saturday, June 11. This time, we’ll be exploring Sacramento, our California State Capitol and a pretty darn exciting food city. Sacramento is the gateway to California’s agricultural Central Valley and is surrounded by 1.5 million acres of farms, ranches, and dairies The city has been named America’s “Farm-to-Fork Capital,” one of the top U.S. cities for organic eating, and has growing craft beer and wine industries. I explored Sacramento for the day with my Jenna (local blogger and #SweetsCrawl co-host), and I’ve been itching to go back ever since. 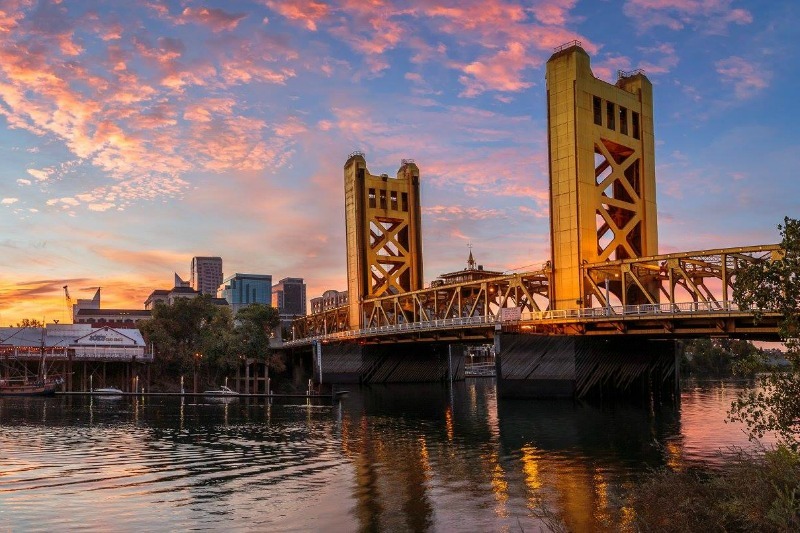 Sacramento-based EIT reader, Janice, helped us put together a walking tour route that will let us hit several of the city’s best bakeries, sweets shops, and craft food makers. As usual, the tour is free but I’ll be collecting a donation for a worthy food-related organization working to improve the lives of people in the host community. This time around we’ll be supporting Sacramento Loaves & Fishes which provides essential food, shelter, and services for homeless adults and families. Donations are voluntary but welcome. WHAT: The Sacramento #SweetsCrawl is an Ever In Transit reader meetup, walking tour of vibrant downtown Sacramento, and a celebration of all things sweet! We’ll visit 5 or 6 shops across the city to sample locally-made cupcakes, chocolate, pastries, ice cream, and more. We’ll end the afternoon at a local pub (optional) to wash down the sweets with a good local beer or wine. WHEN: Saturday, June 11. We’ll start at 12:00 PM, end at about 4:00 PM. WHERE: We will start near the Midtown Sacramento Farmer’s Market, 1050 20th St – [map] – I’ll send you the exact meeting point when you RSVP. COST: Free, but with a suggested donation of $20. All proceeds from this event will go to the nonprofit Sacramento Food Bank & Family Services. ARE YOU IN? Great! Please RSVP using Eventbrite. Space is very limited. The tour is free, but bring money to sample something small at every stop, and a cash donation if you want to contribute to the fundraiser. Please eat a LIGHT lunch before we meet. I don’t want anyone to pass out from all the sugar. Can’t make it in person? Take a photo of something sweet that you’ve eaten and share it on Twitter or Instagram using the hashtag #SweetsCrawl. I’ll retweet/repost any photo you share on our social accounts. Want to see what SweetsCrawl is like? Check out these wrap-ups from our walks in: San Francisco, Oakland, Los Angeles, Palo Alto, and this reader-organized event in Atlanta. Please email me or leave a comment below if you have any questions or suggestions for the tour. I hope to see you there!